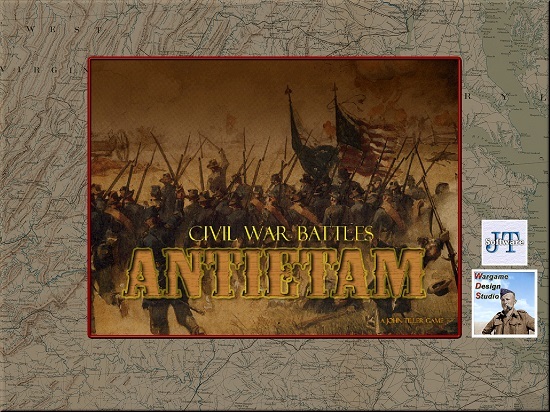 Many battles preceded and followed, but none would be so costly on both sides as Antietam. 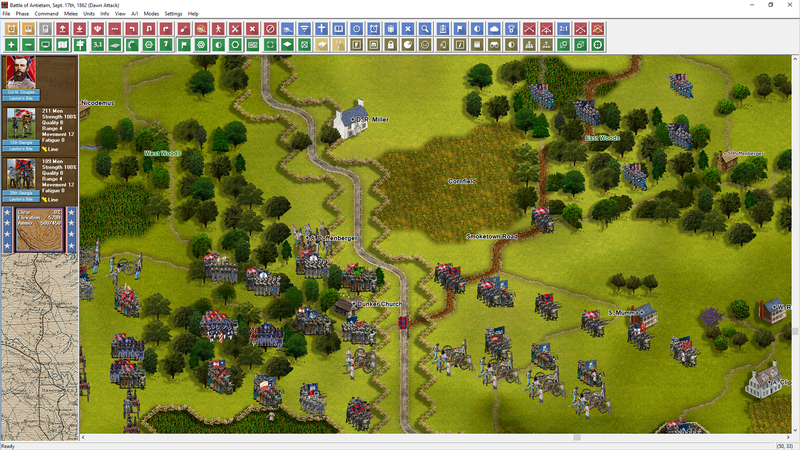 No more would citizen soldiers populate both armies. Rather, they would now be known as professional veterans. 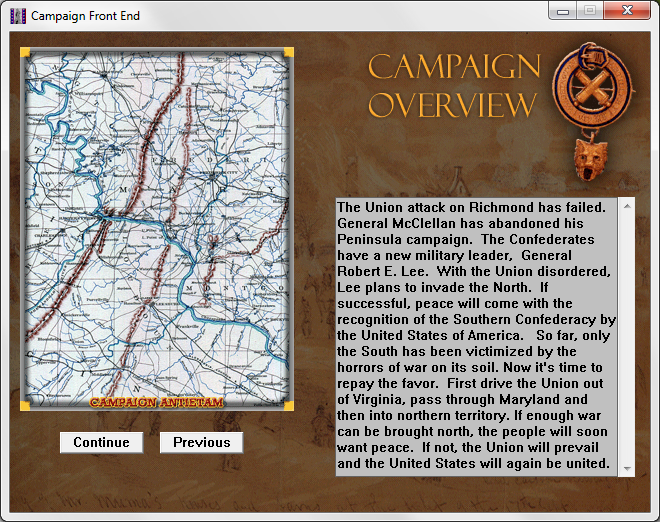 For the Confederacy, the brilliance of Robert E. Lee would be needed to keep the southern army alive. Opposing him, a series of union generals would be tried. Many would fail. In the end, George McClellan would be called upon, a second time, to save the Union. 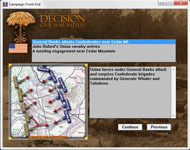 Will he succeed, or will Lee lead southern armies to victory? 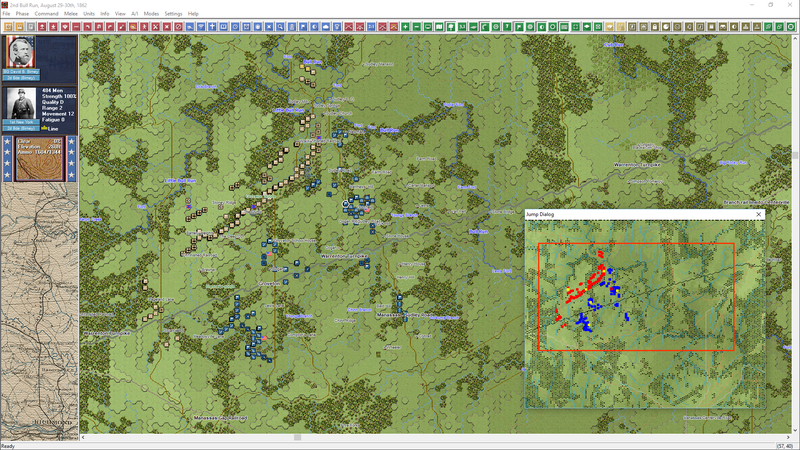 199 stand alone scenarios and 164 campaign scenarios. 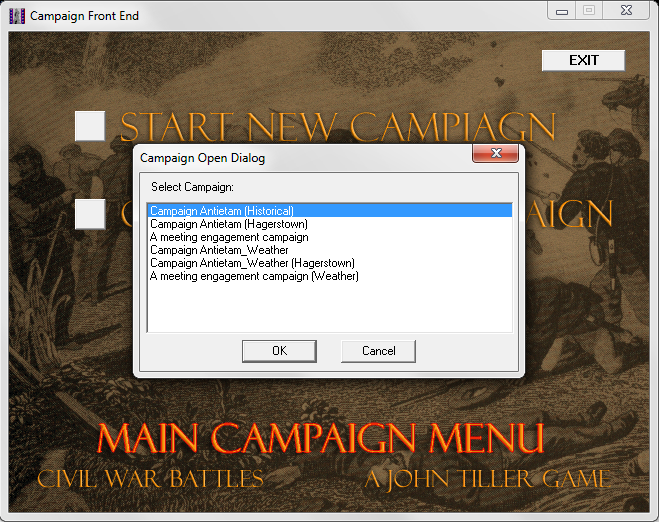 3 different campaigns for a varied campaign experience, each also has a "weather variant" to choose from. 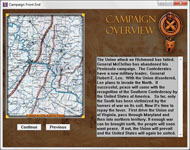 Historical scenarios include: 1st Bull Run, 2nd Bull Run, Antietam, Groveton (Brawner's Farm), Chantilly, Cedar Mountain and South Mountain. 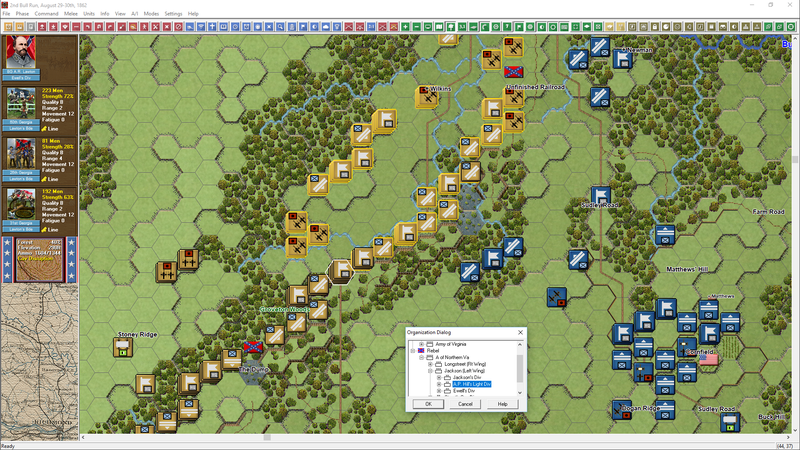 39 scenarios specifically designed for a tough challenge against the A/I. 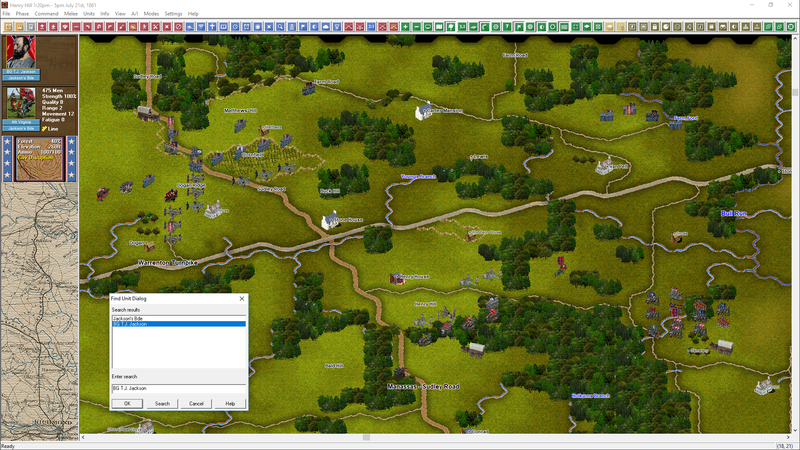 Many meeting engagements using the new random hex feature. 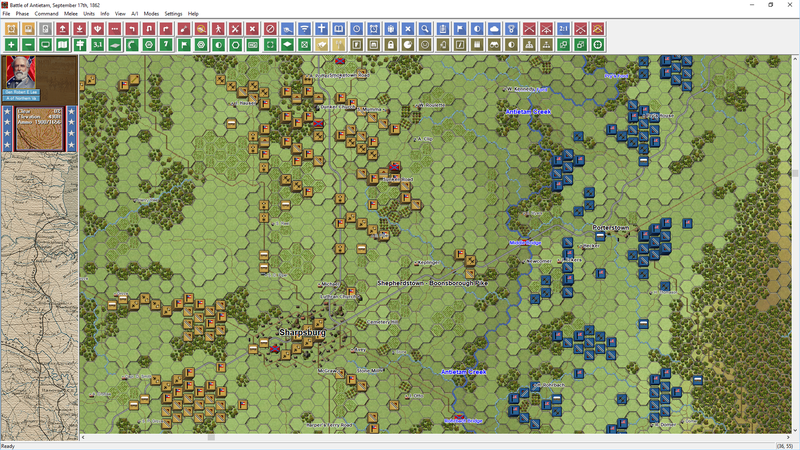 The extreme effects of FOW will be more fully demonstrated. 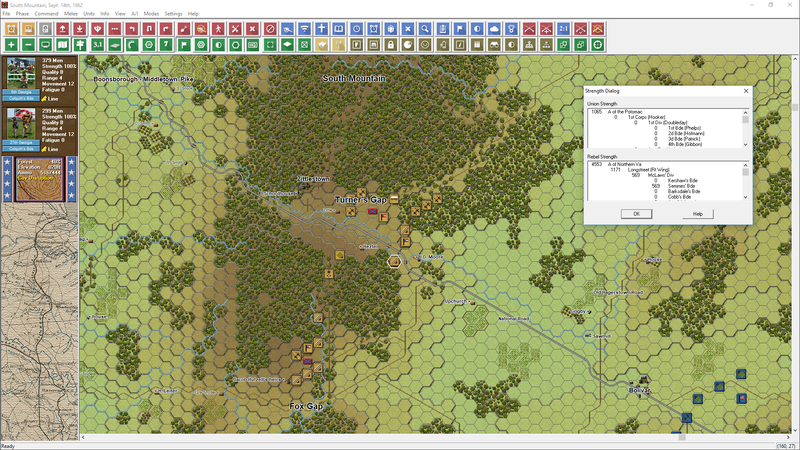 Large maps shared from Campaign Gettysburg. 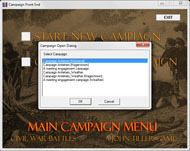 Inclusive orders of battle offer unlimited possibilities for user-created scenarios.